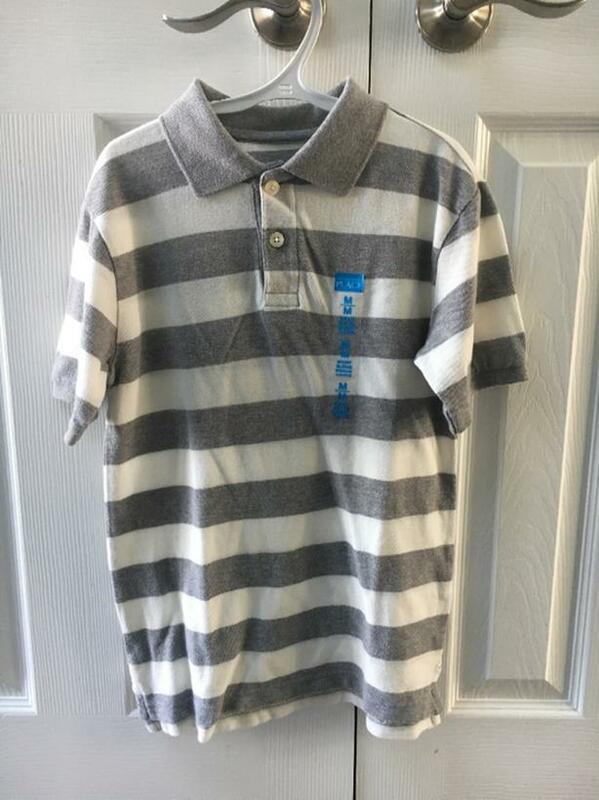 New with tags, unused boys gray/White stripe, short sleeve Polo Shirt. Size Medium (7/8). From the children's Place. Comes from a smoke free home.